Many dog owners, especially first-time puppy owners, are blissfully unaware of the importance of socializing the young puppy and how it affects their development. The adult dog’s reactions to situations, people and places later in life can be attributed to how well they were socialized as a puppy. For a dog to develop into a well-balanced companion, it is important to be exposed to new and different situations in their formative weeks and months. The puppy’s brain will develop new synapses with each new activity that he is exposed to. Synapses are the connections in the neurons in the brain, similar to a road map. 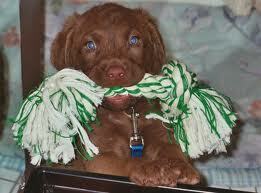 The synapses that are developed at a young age will help the pup become a confidant dog in the future. The conscientious breeder will work diligently in exposing the very young puppy to different stimulation, activities and people while he is still with his littermates, but it is up to the new owner to continue this work after bringing the new puppy home. Most puppies are sent to their new homes between 8 – 10 weeks of age. This is believed to be the optimum time for bonding and socializing. Be aware that puppies at eight weeks old are usually in their ‘fear’ period, so it is important to avoid any sharp noises or harsh treatment at this time that may take months for him to overcome. A puppy that is 10 – 12 weeks old is usually very interested in creating a relationship with you. This is the perfect opportunity to begin pre-training by spending quality time with him and exposing him to a wide variety of different things. You don’t have to spend a lot of money on fancy equipment, just use what you have around the house. You can lay a ladder down flat on the ground and encourage him to walk over the rungs. Do you have access to a child’s slide or other play ground equipment? Puppies love to crawl up and over and thru the various obstacles. Use a box with the ends open for a tunnel for him to run thru. A broomstick can be raised an inch or two off the ground for a jump. Lay a tarp on the ground and have him run over it, or under it. Use your imagination, but always keep the safety of the puppy in mind. After you have his appropriate shots, take him with you wherever you go, whenever possible. If parks are available, take him there. Not only will this give your pup opportunity to meet and socialize with other people and dogs, you can use the playground equipment, benches, retaining walls, etc. Encourage him to climb up on them or go through the kids’ jungle gym. Take him for a walk downtown and around the block. Businesses such as pet, feed, and home building supply stores, (Lowe’s or Home Depot, for example) frequently allow a leashed dog, just remember to be courteous and keep the leash short and the puppy under control at all times. Hang out at a grocery store or other place that gets a lot of foot traffic. Take him to a small outdoor fair or a parade. Look for places where you like to go that may be appropriate for your pup, but don’t overwhelm him. Avoid situations that may overly stress or scare him. Start teaching him basic manners as well as tricks and other activities. 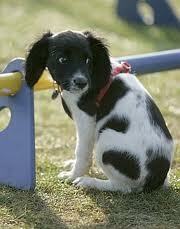 Look for a puppy obedience class that is available in your area. This is also a great way to expose him to new dogs and people, as well as teach him basic obedience. Have different toys available for him to play with. Name the toys when you play with him and soon he’ll surprise you and start bringing back the toy you ask for! Hide a treat and help him find it. Play easy games of hide and seek in the house or outside. Bounce a ball or wiggle a rope toy for him to chase. Encourage him to bring the ball or rope to you. Play a game of catch with treats or toys. Be creative and make up simple games for him that uses his senses of sight, hearing, scent, touch and taste. Always remember to keep your activity time short, as he’s still a puppy and needs to rest frequently. As he matures, you can increase the time and difficulty of the various activities. Challenge him, but allow him to be successful. Keep it simple at first until he shows he understands what you are asking of him and then you can increase the complexity of the activity. All of these various activities will assure that your puppy will develop the necessary synapses in his brain to grow into a self-confidant and well-mannered social companion that you will enjoy for many years. For more wonderful and useful information on raising a puppy, take a look at Clarice Rutherford and David H. Neal’s book How to Raise a Puppy You Can Live With. 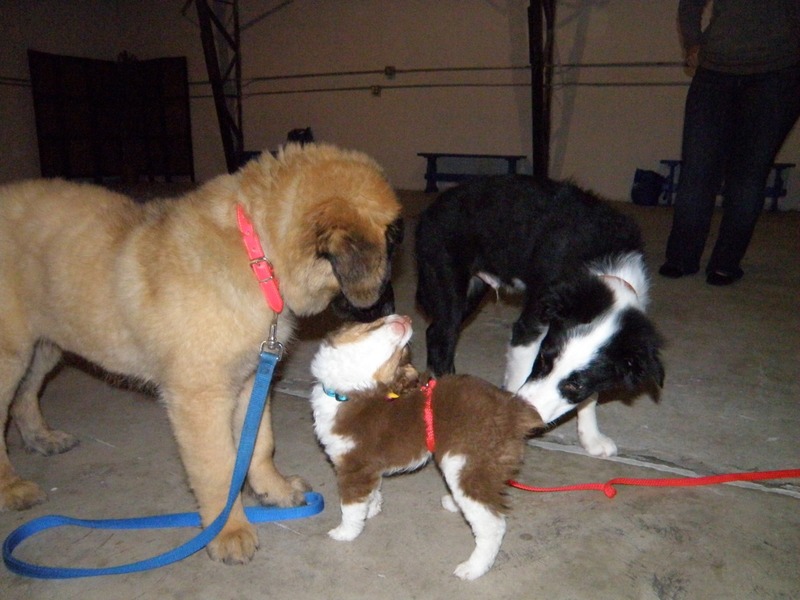 This entry was posted in PUPPIES AND PUPPY TRAINING and tagged critical time periods in puppies, fear period in puppies, how to socialize a puppy, puppies, puppy, puppy development, puppy socialization, puppy training, puppys brain, socializing puppies. Bookmark the permalink. SWEET! great article useful tips for socializing and training. I might disagree on one or two points such as taking them from the litter mates too soon at 7-8- or even 9 weeks .At twelve weeks the puppy gets rabies Vaccination so it may be hard to find a class to take a young one to for dog social skills if not vaccinated for rabies. As an observer, my feeling is the litter mates help the pups to develop important social dog skills so I would prefer to see them remain with the litter until the 12 week or beyond period. I believe a bonding time can come at any age, just looking at dogs that are adopted at an older age, though my mind wanders a bit as usual, if you are strictly talking about puppies. I think it depends on the breed of puppy and on the individual. I raise Shelties and they bond to the new owner better at 8 or 9 weeks. I have found puppy classes generally require the Distemper/Hepatitis/Parvo etc but don’t worry too much about rabies. I totally agree with @Sally G. Thanks for the tips though.